We service any mobile home need from buying a new mobile home, to setting up a mobile home, to retrofitting an existing mobile home. In early 2007, JR Morrison and Rob Boulware decided to partner together for the sole purpose of making manufactured homes safer. SRS is the result of pulling together their respective experience and backgrounds. 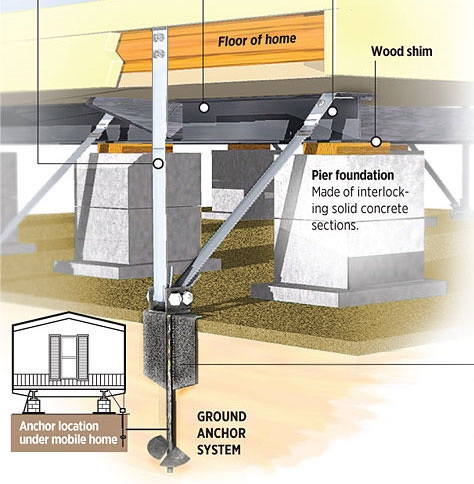 M & B Enterprises (DBA as Storm Ready Services) can retrofit the anchoring system on your existing mobile home. Since 1983, J.R. has been setting up and servicing the mobile home industry for clients including State Agencies, Mobile Home Management Companies, Walt Disney World, and the Southern Baptist Disaster Relief. or Buy a New Mobile Home! Sonrise Mobile Home Sales, a subsidiary of Florida Manufactured Home Sales, LLC is a licensed mobile home dealer.